Dr. Woodbridge is a former senior editor of Christianity Today. He has taught at the University of Toulouse, France; Northwestern University; and at Hautes Études, the Sorbonne, Paris. He completed postgraduate study with fellowships from the National Endowment for the Humanities, the American Council of Learned Studies, and the Herzog August Bibliothek in Germany. In 1965 he was awarded a Fulbright felowship. 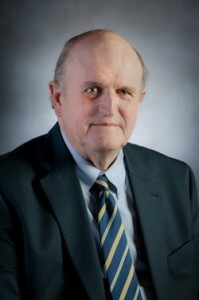 Dr. Woodbridge is a member of the American Society of Church History, the American Society of 18th Century Studies, the American Catholic Historic Association, and the French Historical Society. His areas of expertise include evangelicalism, fundamentalism, the history of the Bible’s authority, the French enlightenment and the origins of higher criticism. He and his wife, Susan, have three children, Elisabeth, Josh, and David.